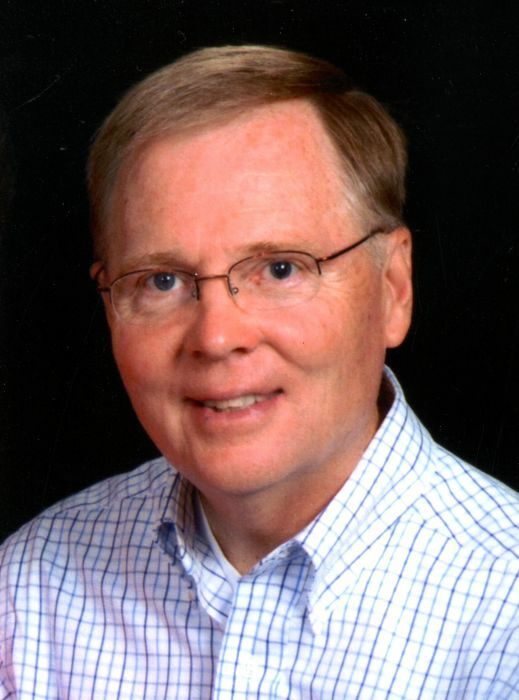 Averill Park - Kenneth J. Markussen, 72, of Averill Avenue went home to be with the Lord on Thursday, March 21, 2019, at his residence in Fort Myers, FL after a long courageous battle against cholangiocarcinoma. Born in Troy, he was the son of the late James E. Markussen and Dorothy I. Weatherwax Markussen, and grew up on Route 43 in Wynantskill. A 1964 graduate of Averill Park High School, he attended Northeastern University in Boston where he met his future bride, and earned his Bachelor's in Civil Engineering in 1969. Ken married Lunette M. Ross Markussen shortly before his college graduation. Ken and Lunette settled in West Sand Lake in 1973, where they lived for 41 years, and raised their two daughters, Erika Markussen Narducci and Kara Markussen Whittaker. In 2014, they downsized with a move to Averill Park and also enjoyed wintering in Fort Myers, Florida. Loving their time in Florida, this is where Ken chose to spend his last days. After working for private industry at American Water Works and Malcolm Pirnie, Ken was an Environmental and Civil Engineer for NYS Department of Environmental Conservation for 33 years, retiring in 2008. Ken was a handyman, and was known as Mr. Fix-it. He had the gift of giving, and was always helping others. Additionally, he was a man of deep faith who was constantly encouraging others, especially those who were young in their faith. He often was heard saying, “Keep living and loving like Jesus.” He rarely passed up an opportunity to share his personal faith and love of God with others. Over the years, he was part of many faith communities, including United Methodist Church in West Sand Lake, Loudonville Community Church in Loudonville, Brunswick Church in Troy, Immanuel Church in Castleton, and Riverside Church in Fort Myers, Florida. He participated in missions work around the world, namely in Kentucky, Brazil and Kenya. He was always active in helping in church activities, such as the church fair, youth group, Bible studies, as an elder, or in any other way that was needed. After retirement, Ken devoted time to many charitable works, but was especially drawn to helping at local food pantries and volunteering with Habitat for Humanity, both in New York and Florida. He also enjoyed spending time and vacationing with his daughters and their families. Ken passed peacefully on March 21, 2019 with his faithful wife and caregiver of 49 years and 11 months, along with his dog Halle, by his side. His family is joyful that he is finally whole and healed, and walking with his Savior. Survivors in addition to his wife include two daughters, Erika (Dr. Robert) Narducci, Glen Mills, PA and Kara (Matthew) Whittaker, Rehoboth, MA; a brother, Carl S. (Barbara) Markussen, Averill Park; six grandchildren, Lorenzo, Antonio and Amelia Narducci and Rhett, Rowan and Zeke Whitttaker and several nieces, nephews and many cousins. The family would like to express deepest gratitude to the staff at H. Medicus Cancer Center in Troy; Dr. Zafar, Ted Green, NP and staff at Florida Cancer Specialists in Fort Myers, FL; Dr. Judy Wang and staff at FCS in Sarasota, FL. Special thanks to the compassionate care from the exceptional staff at Hope Hospice in Fort Myers, FL. Very special thanks for the love, support and prayers from many friends and neighbors at Golf View, Westfall Village, Riverside Church and Immanuel Church. Visitation will be on Friday, April 5, 2019 from 4-7 PM at the DeGraaf-Bryce Funeral Home, Inc. 4392 Route 150 West Sand Lake. Celebration of Ken’s Life Service will be held Saturday, April 6, 2019 at 11 AM at Immanuel Church 1955 Ferndale Rd, Castleton-On-Hudson, with Pastor Brad Guenther, officiating.